On average, 13.7 million hunters hit the field ever year in pursuit of game with 11 percent of that figure being women. Celebrity sportswomen are commonplace on television and the Internet, and more have recently come under fire by the anti-hunting community for promoting an outdoor lifestyle. However, in recent months, average women hunters are finding themselves in the crosshairs, being threatened and harassed by people from around the globe. 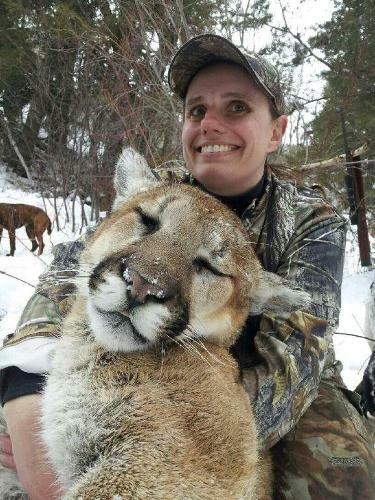 As is the case with Charisa Argys, a Colorado native and avid huntress who recently came under attack after a photo of her with a trophy mountain lion was shared on Facebook by an animal rights activist. That person, Silvia Wadhwa, is a German financial journalist currently working in Frankfurt, Germany. Different anti-hunting organizations quickly picked up on the photo and it was then posted to dozens of Facebook pages, including the International Animal Rescue Foundation World Action (World Action), which includes numerous branches representing different countries around the world. According to World Action’s Facebook page, they specialize in environmental welfare, conservation, preservation, and anti-poaching. A fire storm of comments surfaced targeting Argys, often negatively referring to her physical appearance as well as threats to her life and family. After a flood of comments, mostly by sportsmen to World Action in support of Argys, the photo of her and the mountain lion were removed. However, it was soon replaced with an article about women hunters on their sister site, speakupforthevoiceless.com. These types of articles may seem laughable but the threats Argys continues to receive are not a joke. Argys is not alone, as women hunters across the country are finding themselves under attack like never before. As reported by the U.S. Sportsmen’s Alliance (USSA) in an earlier publication titled “Hunters in the Crosshairs,” celebrity women such as Melissa Bachman, Olympian Corey Cogdell, Olivia Opre and others have come under scrutiny from the anti-hunting community in recent months. Outdoor Channel’s Nicole Reeve of “Driven with Pat and Nicole” was also a target of malicious posts. 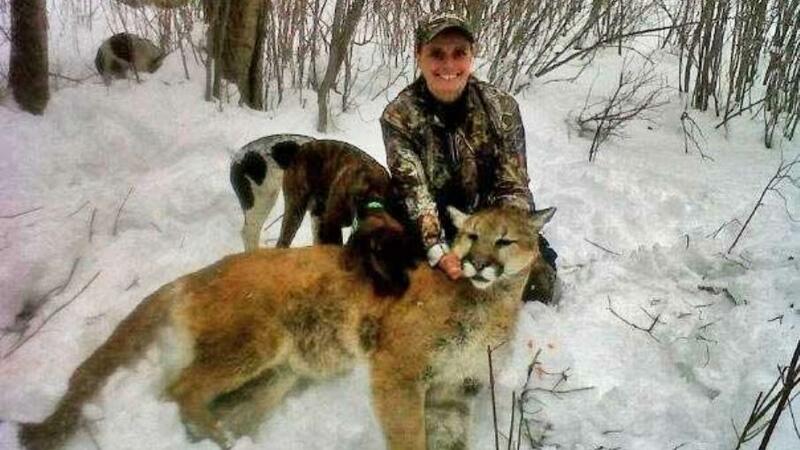 Why are animal rights activists targeting women hunters? Outdoor Channel’s new ownership made a vow to stand and fight anti-hunters and Second Amendment opposition. See the article here. The USSA has an article detailing how to deal with anti-hunters and harassment.